A versatile size, and comfy too. With generous foam cushioning for quite a firm sit that bounces back into shape when you get up. 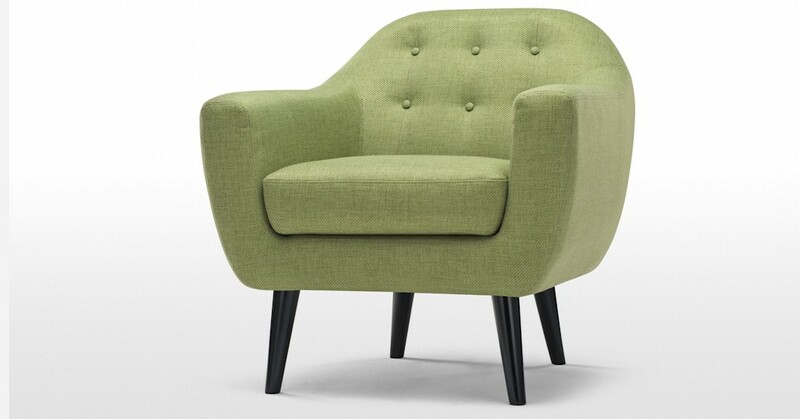 The buttoning on the backrest gives this striking style added texture and interest. The black solid wood legs are tapered.